If you’ve already cycled through your usual list of New Year’s resolutions and none of them seem worthwhile, then you’ve come to the right place. The Deli SF has the perfect idea for what to change in 2018: go to more local shows! 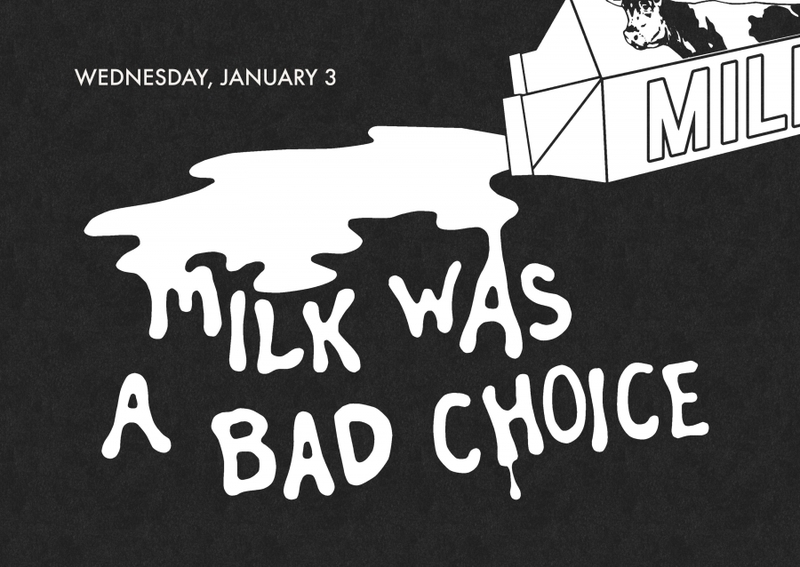 Thankfully, the monthly Milk Was A Bad Choice showcase is giving you the perfect place to start, with a lineup that cannot be missed! Make sure to start the year off right by stopping by the Milk Bar on January 3rd, and until then, stream one of Le VICE’s past live performances below.